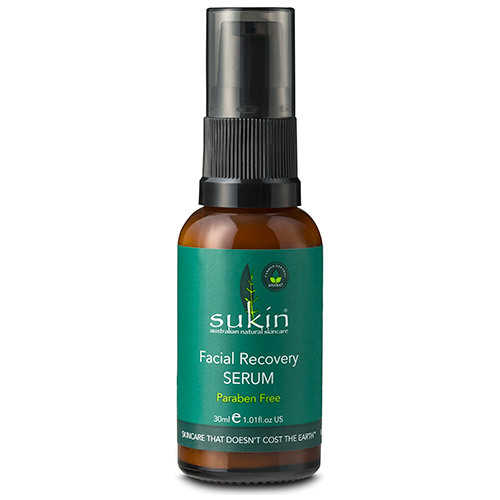 A refreshing daily facial serum with natural actives of kale, spirulina, chlorella and parsley to offer antioxidants and vitamins to restore a healthy glow. 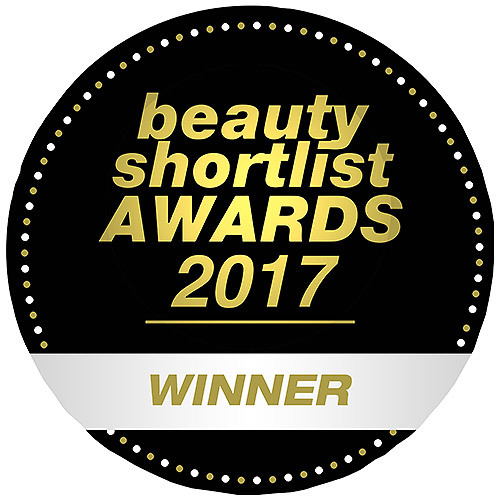 Grape seed oil, avocado and vitamin E assist in locking in moisture for a dewy complexion, and added acai berry promotes youthful looking skin. A burst of cranberry provides an invigorating scent to refresh the senses. Water (Aqua), Caprylic/Capric Triglyceride, Glycerin, Glyceryl Stearate, Decyl Oleate, Theobroma Cacao (Cocoa) Seed Butter, Vitis Vinifera (Grape) Seed Oil, Persea Gratissima (Avocado) Oil, Tocopherol (Vitamin E), Xanthan Gum, Sodium Stearoyl Glutamate, Daucus Carota Sativa (Carrot) Seed Oil, Euterpe Oleracea Fruit Extract (Acai), Lycium Barbarum Fruit Extract (Goji), Spirulina Platensis Extract, Chlorella Vulgaris Extract, Petroselinum Crispum (Parsley) Extract, Brassica Oleracea Acephala Leaf Extract (Kale), Fragrance (Parfum)*, Lactic Acid, Phenoxyethanol, Benzyl Alcohol, Geraniol**, Linalool**, Limonene**, Citronellol**. 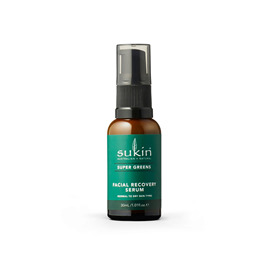 Below are reviews of Sukin Super Greens Facial Recovery Serum - 30ml by bodykind customers. If you have tried this product we'd love to hear what you think so please leave a review. Same opinion as the previous reviews. very liquid, slightly unusual, along with a strict skin hygiene routine, it helped a lot for my skin to recover from a sudden rash on my face. it reminds me of a caudalie serum I had and that cost double this one. The watery consistency took some getting used to but I just love it now. Makes my skin all soft and glowing at a reasonable price. Their protein conditioner and hair treatment are great too, Sukin is certainly by far my favourite brand! I love this product.It's more watery than other serums I've used but it's really great. Makes my skin look healthy and glowing.